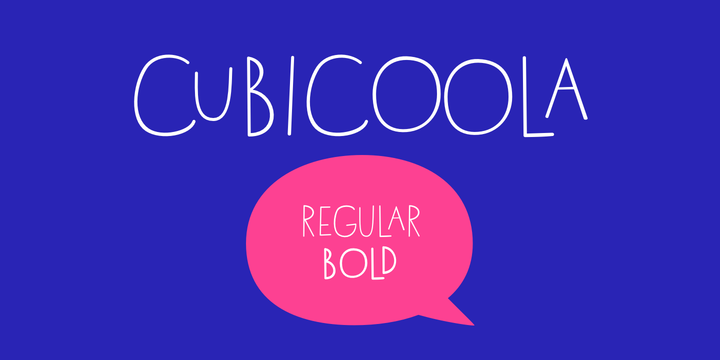 Cubicoola handwritten typeface created by Petr Ondrusz and published by Little Type which was inspired by hand-drawn posters. Available in 2 weights, over 400 glyphs, 18 ligatures and language support, this friendly font it merge well on both, small & large sizes. It is great for poster, book covers, packaging, logo. Let’s play! A font description published on Tuesday, October 3rd, 2017 in Fonts, Little Type, Petr Ondrusz by Alexandra that has 2,334 views.